Marc Edwards against ES&T: should research be value free? 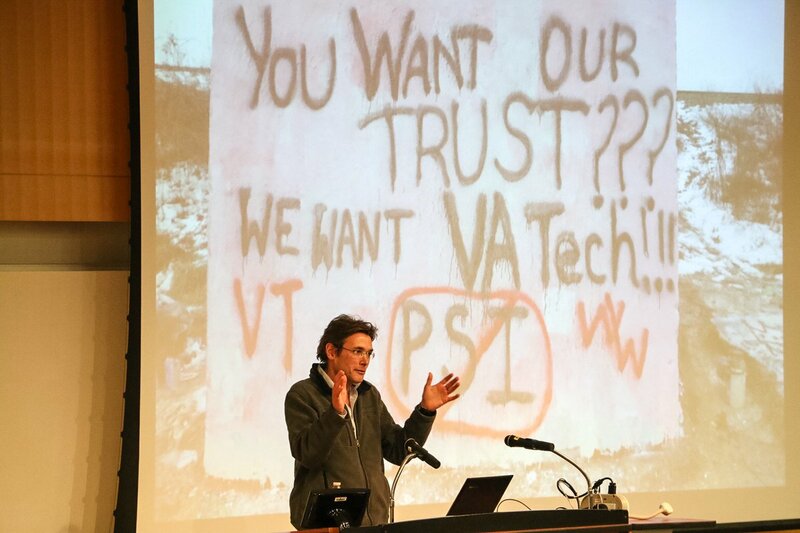 About two weeks ago, there was an editorial war between Dr. David Sedlak, professor of UC Berkeley and the Editor-in-Chief of Environmental Science & Technology, the most prestigious journal in environmental engineering, and Dr.Marc Edwards, professor of environmental engineering here at VT. In the ES&T editorial, Sedlak accused Edwards’ work at Flint, MI as “step over the imaginary line” to become an “environmental activist” . The editorial claimed that Dr. Edwards departs from being a “dispassionate researcher”, and instead looking for “youthful idealism” and “Hollywood’s dramatic sensibilities”. Sedlak believed that Edwards’ action result in “exposing the community to potential retaliation” from political institutions, which may leads to potential funding cuts. The Palmer article reminds me of just that. We cultivate students by giving them knowledge in the discipline. But more importantly, to have a heart; a moral sentiment to stand up against crime and evil, to do good. It is striking to see that a well-developed discipline can be controlled by a bunch of high priests who basically argues for purposeful negligence. No. This is wrong. As a scientist our goal is to advance the human knowledge (admittedly by publishing good papers in top journals). But what is that for? To get a Nobel? It’s admirable, but no. We step into science to help the world becoming a better place. To help those in needs no matter if it’s providing cancer-treating drugs, psychological counselling, better education, or targeted donation to the poor. To abuse some nerdy economist’s jargon here, we are set to maximize social welfare by providing an optimal mechanism to do so. And that’s exactly what Edwards did. He and his teams saw people in need, suffering. He reached out and helped using his authority as a professor (He would’ve been discredited by the institution if he’s not as prestigious as Edwards). That should not be judged as activism as in advocating for a particular set of values. That’s called saving lives. And I hope we can see some new undergrads coming from Flint, MI. After all, they said it themselves on the white board. Thanks for this! I agree: refreshing and touching. I think students should, at some point, have to answer this kind of question: what role does your field play in reducing or increasing systematic suffering, and what role could it play in liberation? The fact that the editorial referred to Marc Edwards as departing from being a “dispassionate researcher” is quite fascinating to me as far as how current research is viewed in our culture. In reality, every research that we propose is supposed to show societal impact and a sense of “worthiness” in its benefit to society. I would think that this inherently implies some kind of passion, especially since passion is often what motivates us to continue with the current research path for years and years. Thanks for the article and food for thought! Great post! I took Dr. Edwards’ Ethics course last fall as the Flint Crisis was unfolding. I really enjoyed getting to know Dr. Edwards and learning about his approach to ethics in science. I admired how passionate he was about the topic of ethics and he was willing to be vulnerable and open up about how these types of criticism he receives impact his outlook. I agree with what you said about the necessity of researching toward public good which I think gets forgotten quite often. It’s so easy to get over-focused on a topic and forget about the larger picture (impact of research). Great post! I agree this post is refreshing and touching. Helping community is our responsibility as a member of university. I believe that such arguments is raised because of the wrong image of science even between academia. I think that drawing a line between being a researcher and an activist, and prohibiting researchers from crossing that line is in itself a false view toward science and research. Hello, I agree with what you said about the necessity of researching toward public good which I think gets forgotten quite often. It’s so easy to get over-focused on a topic and forget about the larger picture (impact of research). I am just about the necessity of researching toward public good which I think gets forgotten quite often. It’s so easy to get over-focused on a topic and forget about Crypto market news the larger picture (impact of research). your website is great source of information for educational purpose. Hello, Very interesting topic to discuss. I agree with what you said about the necessity of researching toward public. In this present age where we needed an increase, we need to try more good innovations and get knowledge about them. In this field, D.R David playing the vital role and i am happy his work steps. Without knowledge, we cannot get the success. That’s the bitter truth in our societies and we all know these things. But I think our hearts have gone dead or we all have just black hearts in our body… No one feels that and no one is taking the step for others especially for new generations and for our all kids including teenagers. our teenagers just becoming unhealthy and in mind with time and they have to control the world in coming years how they will do this??? Yes, I also have some thinking about this that’s really a big truth and we admit this. but only talking on this topic is not enough so we should take a step for this…. This is true and D.r David playing a vital role in that case. They try their best to present the new innovations.Dr. Edwards and learning about his approach to ethics in science. the bitter truth in our societies and we all know these things. But I think our hearts have gone dead or we all have just black hearts in our body… No one feels that and no one is taking the step ketone for others especially for new generations and for our all kids including teenagers. our teenagers just becoming unhealthy and in mind with time and they have to control the world in coming years how they will do this?? ?